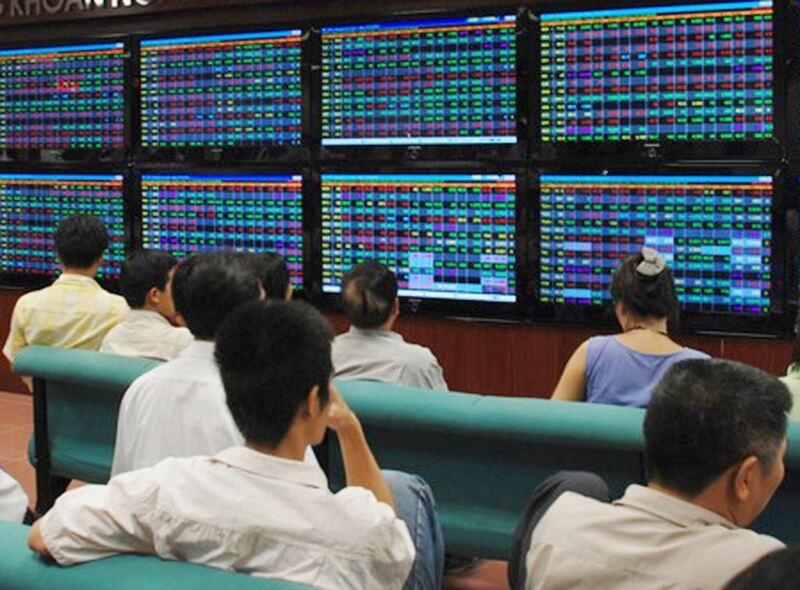 In the first eight months of 2018, Vietnam stock market saw roller coaster run as VNIndex continuously broke all time records and reached the highest level at 1204 points on April 9, gaining 220.09 points or 22.4% compared to 2017 close. However, just three months later, VNIndex erased all the year gains with a sharp drop of 311.17 points or 25.84% to 893.16 on July 11, 1818. The market is now recovering to close at 968.47 on August 10. 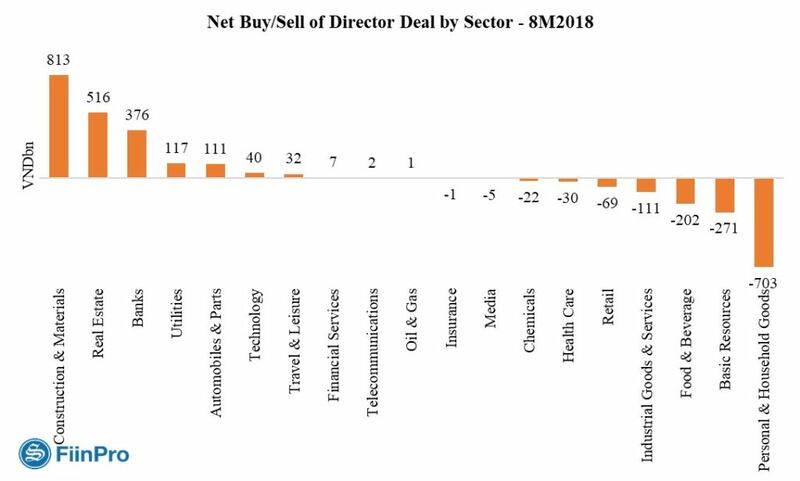 Despite the market's volatility, board of managers and related persons remained net buyers in the market in 8M2018, showing their confidence in the long-term development of their companies. FiinPro Platform’s statistics showed that there were 1,900 transactions of buying and selling made by the board of managers and related persons, with a total net buying value of VND603 billion in the year to August 9, 2018. The chart shows BOM and related persons were net buyers in the first eight months of the year, focusing strongly on June, July and August when the market was bottoming out and recovering. 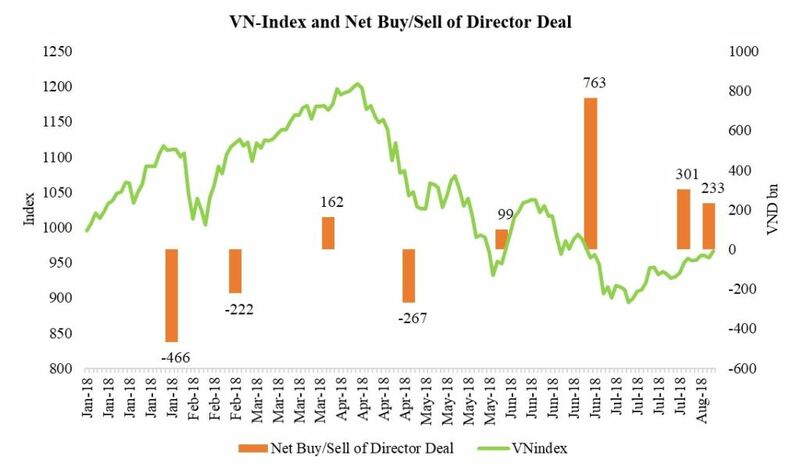 In detail, in June, VN-Index fell sharply, BOM and related persons bought the most, with a net buying value of VND 763 billion, of which net-buying was mainly made by steel companies’ such as POM - Member of the Supervisory Board bought nearly 2.5 million shares, and the Banks, specifically VPB – the President bought 5 million shares, TPB - Deputy General Director bought 1 million shares. In the first eight months of 2018, Construction and Materials was most heavily net-bought with a net value of VND813 billion, followed by the Real Estate, Banks. On the contrary, Personal & Household Goods, saw biggest net selling value of VND703 billion. Other net selling sectors include Basic Resources, Food & Beverage, Industrial Goods & Services. In addition, FiinPro users can explore by Ticker Director Deal data directly on FiinPro with the function: Company/ Corporate Actions / Director Deal on FiinPro® Platfrom.